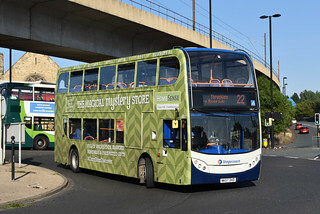 As part of a fleet-wide scheme to standardise the Stagecoach North East fleet in one single livery, this vehicle has been repainted into Stagecoach's corporate livery. 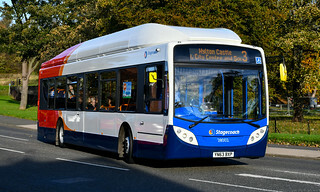 It is the first of its type to be repainted, with all vehicles in its batch expected to promptly follow suit. 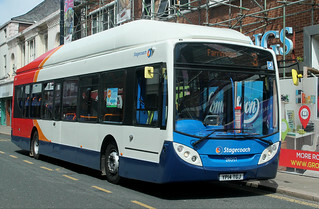 As part of a fleet-wide scheme to standardise the Stagecoach North East fleet in one single livery, this vehicle has been repainted into Stagecoach's corporate livery. 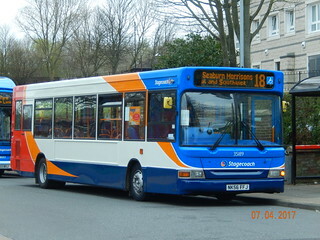 This vehicle has transferred from Slatyford (Reserve) to Sunderland (Reserve), and has also been treated to a repaint into Stagecoach's corporate livery. This vehicle has received an allover wrap advertsiement for Homesense. 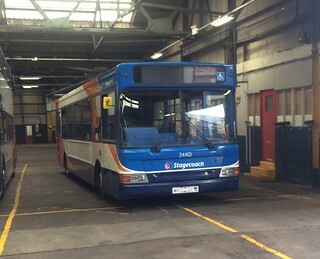 This vehicle has been sold to Stagecoach West, where it will be allocated to Gloucester Depot.